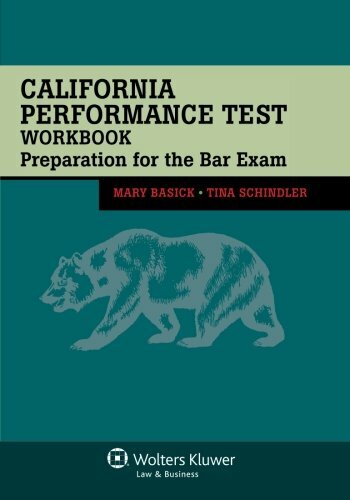 California Performance Test Workbook shows California Bar Exam applicants how to take the Performance Test from beginning to end, emphasizing the skills necessary to successfully write a passing exam answer. The text provides specific instruction on time management and offers numerous examples and tips on how to handle common pitfalls. Six actual California Performance Test (CPT) questions are provided along with model answers and analysis.